Last year, as part of a multi-year “Celebration of the Book,” the Library of Congress opened an exhibit of 88 “Books That Shaped America.” According to Librarian of Congress James H. Billington, “This list is a starting point. It is not a register of the ‘best’ American books—although many of them fit that description. Rather, list is intended to spark a national conversation on books written by Americans that have influenced our lives, whether they appear on this initial list or not.” (The list did indeed spark conversation—as usual there was much squabbling about what was on the list and what was left off. Simply type “Books That Shaped America” into your search engine for proof.) While the physical exhibit has now ended, click here for the online version. 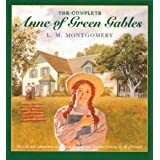 The Anne of Green Gables series (L.M. Montgomery). Hands down my favorite childhood books. I didn’t just enjoy the stories: I loved Anne and aspired to be like her. She was smart, spirited, loving and she always tried to do right and help others. A girl could do worse than emulate Anne Shirley. Even now, every couple of years, I reread the series for the pleasure of renewing my acquaintance. Sidetracked Home Executives (Pam Young and Peggy Jones). I loved the system of organizing household chores that these sisters created to move from “pigpen to paradise.” I really didn’t know how to stay on top of cleaning when I first got married, and their advice helped me figure it out. I still use some of their basic principles to keep my house running. This book was funny and charming and their 3 x 5 card program was super simple to implement. A Walk in the Woods (Bill Bryson). This book was a revelation of how non-fiction could be just as riveting and entertaining as fiction. Bryson tells a great story, weaving historical information seamlessly into the narrative of his experience hiking the Appalachian Trail. This book is funny, fascinating and educational all at once. I want to write like that. The Poisonwood Bible (Barbara Kingsolver). Another revelation. This was my first experience reading Kingsolver, and I was forever hooked. Up until I read Poisonwood, other than the occasional “classic,” I rarely read anything more taxing than an Agatha Christie mystery. I’ve read nearly everything Kingsolver has written, and continued to expand my fiction horizons. Refuse to Choose (Barbara Sher). I’ve read and liked several of Sher’s books, but this one helped me understand why I flit from interest to interest, and why so many things sound fascinating to me. I’m a “Scanner”—a person who scans the horizon, eager to explore everything out there instead of zeroing in on a single pursuit. I want to learn about so many things, and pursue so many hobbies, how can I do it all? My favorite of Sher’s tools is what I call the Six-Year Calendar of Happiness: a list of the major interests I want to pursue in the next six years (as opposed to trying to pursue them all at once). I admit I haven’t been able to follow the calendar as well as I’d like because my current interests (my horse, learning to sketch and paint in watercolor) are time consuming enough that I really don’t have much time for other interests. That doesn’t mean I’ve given up on things like learning another language or doing cross stitch projects. It just means they keep getting bumped back on the calendar. When Women Stop Hating Their Bodies (Jane R. Hirschmann and Carol H. Munter). Authors Hirschmann and Munter believe that dieting turns women into compulsive eaters obsessed with food. Instead, if we stopped hating our bodies, we would be learn to accept them, feed ourselves what we really need, and stop trying to measure up to society’s “ridiculous and impossible standards of female beauty.” I read this when I first noticed that I could no longer eat anything I wanted and not put on weight. (Sadly.) I believe it did keep me from hating my body, though I still struggle with true acceptance. I think I’m more balanced in my approach to eating and my body because of this book. The Alchemist (Paulo Coelho). I read this for a book club, and I loved the simple story with its inspirational message to follow your heart. After reading this, for the first time I realized I actually had dreams to follow and that it was OK to do so. Ursula K. Le Guin said, “We read books to find out who we are. What other people, real or imaginary, do and think and feel...is an essential guide to our understanding of what we ourselves are and may become.” Through our reading we shape and reshape our opinions, our beliefs, our lives. These are just a few of the books that have shaped me. What books have shaped you? P.S. I’m excited to tell you that later today my bookshelves and I are being featured in Danielle’s (A Work in Progress) Lost in the Stacks: Home Edition series. Come by, sneak a peek at the book bounty and say hello. Sooo interesting the thoughts you have and words you write. I will have to think about the books I've read that have shaped me (or so I believe. At first I was a blank, but now the book titles are flooding through my brain cells! As a teen I was moved and inspired by memorable authors Sir Arthur Conan Doyle, Leon Uris, Ann Seton, and the poems of Langston Hughes and Sylvia Plath. There are so many books read that have left some piece of themselves with me. I love a good adventure story, even more so when interlaced with history (James Michener), nature (Nevada Barr), culture (Jane Austen), or science (Michael Crichton). I also enjoy nonfiction: organizational, technology, biography, ethnobotany, spiritual, and how-to. I read Pilgrim at Tinker Creek long ago, and I would like to read it again. I like Annie Dillard's writing a lot. Sounds like you enjoy reading about a wide variety of subjects. I like that myself. There is so much of interest to learn! I had to cut my list of books that shaped me--it would have been far, far too long for one blog post. Interesting collection of books Kathy. I've read two of the books you mention - The Poisonwood Bible which I loved and The Alchemist which I was disappointed in. I don't have a very good memory, so it would be hard to name books that have shaped me. But I do remember reading one story by Robert Fulghum while we were on vacation that definitely affected me greatly. The story is about the difference between a problem and an inconvenience. 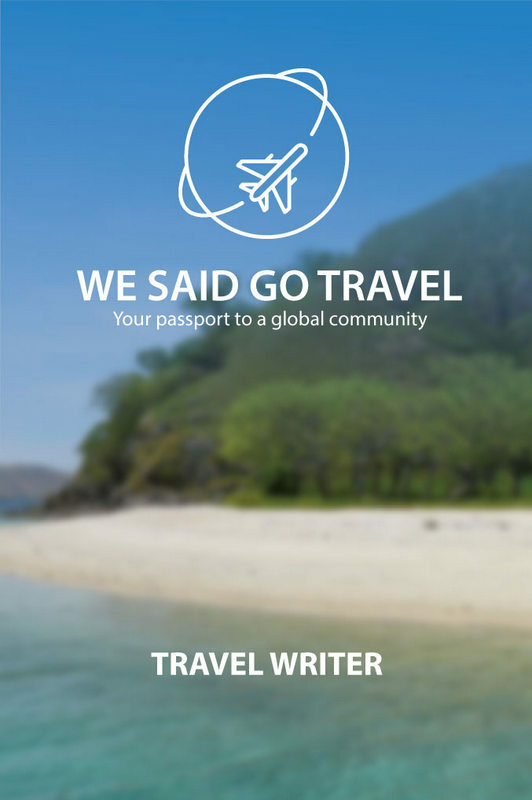 At the time, we were having what I thought were a number of problems on our vacation, but after reading the story, I realized they were all inconveniences. A rather life altering lesson. Oh, there are so many, and I know that I will leave tons out if I try to list them. I loved, Little Women, Little House Books, A Tree Grows in Brooklyn, The Hobbit, The Great Gatsby, The Stand, The Princess Bride, The Thorn Birds, Huckelberry Finn and many other classics ... I have been reading ever since I learned how. Barbara Kingsolver is one of my very favorites, but The Poisonwood Bible was one of the hardest ones for me to get through. I love Prodigal Summer a lot. I went back and read the list and printed it out, and I have read 32 of those books and have seen a couple of movies but not read the books. I am going to try and find many of these to fill out my home library. 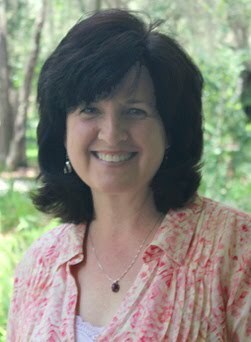 Kathy--Prodigal Summer is my favorite Kingsolver book! I haven't read her two newest novels--I need to remedy that. I'm impressed that you'd read so many of the books on the list. I've only read 18 of them. I have a couple on my TBR pile already, and will probably add more of them to my list of books I want to read. Cheryl--Good example of how books can shape us. With just a few words, Fulgrum changed how you thought about something. Have you read Kingsolver's Prodigal Summer? That's my favorite of her books. Love these books! Thanks for commenting about some books over at PositivelyPresent.com. I loved your suggestions and I enjoyed reading your readers' suggestions here in your comments section. Dani--I added several books to my (very long) to-be-read list after reading your post and the comments that followed. I'm so happy you stopped by--hope you find some more good reading in our recommendations.